It is ironic that the proliferation of guns in the hands of the bureaucrats is pushed by the antigun fanatics who hate the second amendment and would disarm every law-abiding American citizen. Yes, we need gun control. We need to disarm our bureaucrats, then abolish the agencies. If government bureaucrats like guns that much, let them seek work with the NRA. The entire speech can be seen at InfoWars. Knight describes events at the Bundy Ranch, the BLM’s overreach, as Knight was there to witness it all, document it, as were many others. So while the NYT and others grabbed on to badly phrased words from Mr. Bundy to claim he is racist, the issue never was just Cliven Bundy, it was the brutality, the abuse, the overreach. and the tyranny shown by BLM that captured our attention originally. 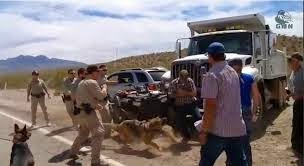 Then when media and supporters were on the scene, the BLM was captured on film committing atrocities, slaughtering cattle, throwing women to the ground, bringing out K-9s and tasing Bundy family members. 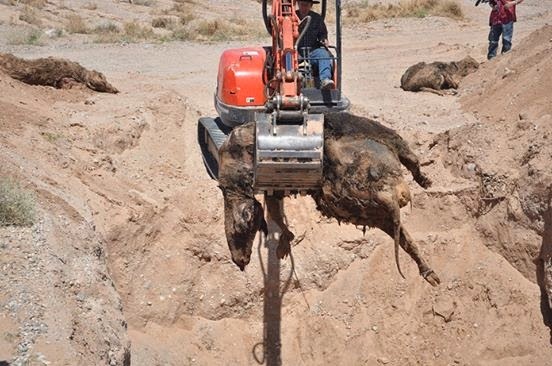 Then after the BLM was forced to back off, the mass cattle graves were discovered, where they attempted to hide what they had done. The BLM has shown it cannot be trusted to perform their duties without the brutality that has been seen across the country by now and as Knight points out, they must be disarmed.